Our attorney, Nick Booth’s Journal Note was recently published in the UGA School of Law Journal of Intellectual Property Law. 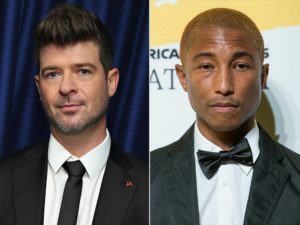 His note opposes the settlement made that Pharrell and Robin Thicke must pay Marvin Gaye’s family $5M over ‘Blurred Lines’. See below for links to his Journal Note and an AJC article explaining the lawsuit. The 14 month legal battle between rapper Ludacris – whose legal name is Chris Bridges – and Tamika Fuller over custody of their 13 month old daughter, Cai Bella Bridges has reached a dramatic conclusion. The lawsuit started in December of 2013, with Ludacris filing a Petition in Fulton County Superior Court seeking a legal legitimation of his daughter. Fuller filed a counterclaim requesting that she be awarded a sizeable sum of monthly child support from the rapper. The final trial took place in January of 2015. During the proceedings Ludacris cited Fuller’s poor parenting over her other child from a previous relationship as a primary reason for him to be awarded primary custody of Cai Bella. Fuller countered by revealing that Ludacris had requested that she have an abortion and bribed her in an effort to get her to terminate the pregnancy. Fuller also accused Ludacris of manufacturing his current marriage in an effort to appear more stable. The Court also heard from a Court appointed Guardian ad Litem, who had conducted an independent investigation of both parents. Following all of the testimony, Judge Doris Downs awarded Ludacris primary physical custody and granted the parties joint legal custody. What remains unclear is whether Ludacris will still be ordered to pay child support to Fuller. Under a previous temporary ruling in the case, the rapper was ordered to pay $7,000/month to Fuller. However, based on the Court’s final custody Order granting him primary custody, his attorneys may be seeking to eliminate his child support obligation all together, or possibly even order Fuller to pay child support to him. If they do pursue this option, there is no guarantee that they will prevail. It is possible in Georgia for a custodial parent to still be required to pay child support to the non-custodial parent. Georgia law allows the Superior Court Judge to exercise his or her own discretion to determine whether the best interests of the child would be served by money being paid to the noncustodial parent to allow for proper visitation. Such an anomaly generally only occurs when the incomes between the parties are so disparate that it would be unfair to the child to have such radically different living environments between the two households. This legal loophole in Georgia is likely Tamika Fuller’s only chance at this point at getting any money out of the wealthy rapper. While Chris Rock and Jeremy Renner have never shared time on the big screen, they currently have one thing in common: they are both dealing with newly filed divorce cases with the potential to get messy on the issue of custody. Rock filed for divorce in New Jersey Superior Court on December 23, 2014. In his Petition, Rock alleges that his wife of 20 years Malaak Compton-Rock “has repeatedly refused to permit [him] normal and usual access to the children, and has acted in a manner detrimental to the children’s best interests”. Meanwhile Jeremy Renner’s Canadian model wife, Sonni Pacheco, filed for divorce against him in Los Angeles on December 5, 2014. While she cited the standard “irreconcilable differences” ground for divorce in her initial Petition, she also included some not-so-standard requests, most notably her request that he be ordered to return her passport and that she be given “independence”. E! News reports that Renner fears Pacheco plans to move back to Canada with their 22 month old daughter, Ava. Needless to say, both Rock and Renner are reportedly prepared to seek custody of their children. Renner and Rock’s state of uncertainty is not uncommon at the beginning of a divorce case when the parties have not yet had a hearing. 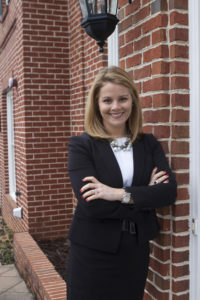 Thankfully, Georgia Courts put an immediate Order in place in all contested divorce cases which provides some basic rules that both parties are required to follow. The Order is generally known as a Domestic Relations Standing Order, and prevents either party from removing the minor children from the jurisdiction, cancelling the other party’s health insurance, cutting off utilities in the home, and selling or transferring assets. However despite the stability provided by the Standing Order, things can still be chaotic until a hearing takes place because there is no clear order establishing who has primary custody of the children, when visitation will take place, how much child support will be paid, and how the family’s bills will be paid. Because these are generally considered issues of immediate importance, Georgia law permits parties in a domestic case to have a temporary hearing, typically at the beginning of the case, on the immediate issues that need to be addressed. Because the temporary hearing is considered to be a shortened version of the final trial, the parties are prohibited from calling more than 1 witness (other than themselves) and the Court is instead permitted to consider written testimony from other witnesses (in the form of a sworn Affidavit) rather than live testimony. The temporary hearing can have a huge impact on the ultimate outcome of the issues being litigated because it gives both parties a glimpse into how the Judge will react to various issues. It also creates a status quo in the case on the issues of custody, visitation, and child support which can be challenge to overcome later in the proceedings. 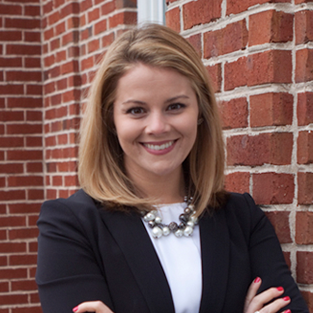 It looks like for Rock and Renner, a temporary hearing cannot come soon enough in their cases. Stephen Collins became a household name while playing the role of the family patriarch in the popular TV series “7th Heaven”, which ran from 1996-2007. On the show, Collins played a minister and devoted father to a family of five children. However, the shocking allegations from his divorce case paint a far different picture of Collins’ real life persona. Collins filed for divorce against his wife of 27 years, Faye Grant, in 2012 citing irreconcilable differences. At the time of the filing, Collins claimed the split was perfectly amicable. Grant didn’t see it the same way. Grant’s response to the divorce petition was explosive, alleging that she learned in January of 2012 that Collins had a long term pattern of sexually molesting children. Grant further alleged that Collins had narcissistic personality disorder with sociopathic tendencies. The situation dramatically worsened on Tuesday, October 7, 2014 when TMZ released an incriminating audiotape from a joint therapy session between Grant and Collins. The audio reveals what sounds like Collins’ voice confessing many of the child molestation allegations. Collins’ lawyers have accused Grant of extortion tactics related to the recording, claiming she suggested she would leak the recording to the media unless Collins acquiesced to her settlement demands. Grant released a statement adamantly denying any involvement in the leaking of what she called an “extremely private recording”. Since the recording was leaked by TMZ, Collins’ career has gone down the tubes. He was dropped from the film “Ted 2”, was pulled from previously filmed “Scandal” scenes, and has voluntarily resigned from the Screen Actors Guild. Allegations of psychological issues are not uncommon in divorce cases. These types of allegations play a central role in cases where custody or visitation is in dispute, as the mental health of the parents is one factor that a court is required to consider in determining custody of a child. In Georgia, the Judge overseeing the lawsuit has the authority to order that one or both parties of a custody dispute to undergo a psychological evaluation by a court appointed psychologist or psychiatrist. Thankfully for all involved, custody is not an issue in the Collins/Grant divorce, as their only child, Kate, is twenty-five years old. However, it won’t be surprising for Collins’ conduct to remain a central focus in his ongoing divorce case.